Day trip to Machu Picchu - Which ticket to choose? Machu Picchu is a place that should be fully enjoyed, reaching the sanctuary where it is is an adventure like few in the world. Every visitor who comes to Peru and especially to Cusco wants to know the Inca city, but many times due to the hurry of time or to have a very tight travel itinerary, many tourists and travelers decide to make a visit of just one day to Machu Picchu, not to miss the Inca wonder. A trip of just one day to Machu Picchu means organizing the entire itinerary well. It must be programmed very early (at dawn) the departure in mobility from the Cusco to arrive in the early hours of the morning to the train station in Ollantaytambo; From there, you must board the train, whose ticket must be previously reserved, that will take you to Aguas Calientes (Machu Picchu Pueblo), in a journey of approximately two hours. Once there, you must take the bus up to the Inca city (25 min. ); In addition, you must take into account the time it can take you to be in the queues there are, both to board the bus, as well as to enter Machu Picchu. What type of Ticket Machu Picchu fits this itinerary? There are 4 types of tickets to enter Machu Picchu. 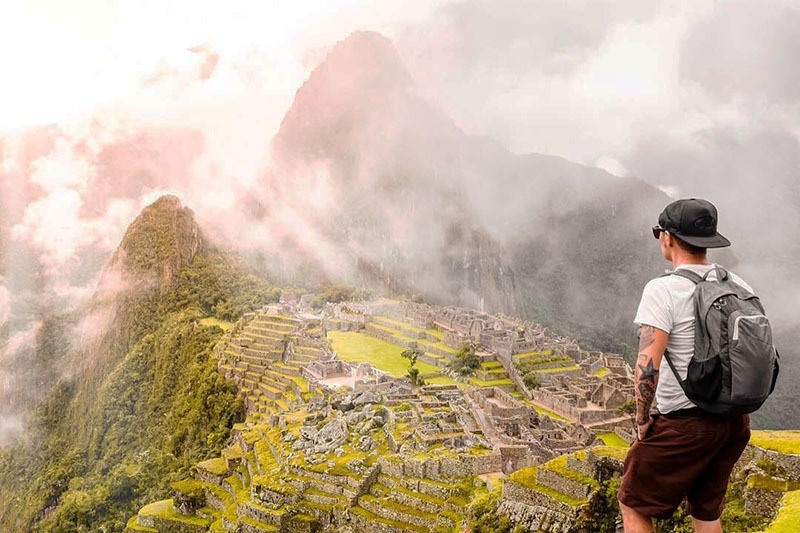 The tickets that allow to enter the mountains that are in Machu Picchu (Huayna Picchu or Machu Picchu Mountain), have their time of entry and visit to the Inca city in the morning, which intersects with the outward journey itinerary. While it is true that the tickets of both mountains have their second income groups at mid-morning, and so you could arrive in time to enter them, you would not have time to visit the Inca citadel. The most advisable and prudent thing is that to visit any of the mountains of Machu Picchu, you must arrive one day before to the town of Aguas Calientes. The Ticket Machu Picchu + Museum, which allows entry to Machu Picchu and its site museum in Aguas Calientes, will require ample time for you to enjoy the two attractions to which you can access, so it is not the ticket More convenient for a day trip to Machu Picchu. The “Ticket Machu Picchu Only – Morning Shift” allows you to visit the Inca city between 6 in the morning and 12 noon, a schedule that also intersects with the travel itinerary and that would not give you too much time to enjoy the Inca city of Machu Picchu. If this ticket is purchased, it is also necessary to arrive one day before to Machu Picchu Pueblo. Seen all the above, the most appropriate option for a day trip to Machu Picchu and that will allow you to enjoy all the time allowed by the ticket is the “Ticket Machu Picchu Only – afternoon shift“, Visiting hours are 12 p.m. – 5:30 p. m., and the entrance to the Inca city can be made from 11:00 a. m. With this schedule you can make your trip from Cusco to Aguas Calientes quietly in the morning, arrive without haste for the entrance to Machu Picchu and tour the Inca city in the afternoon. After visiting Machu Picchu you can take your train back to Ollantaytambo at night times when the train departs, and once in Ollantaytambo you can make the transfer or take some public or private mobility service for your return to Cusco. It is so you can make a one-day trip to Machu Picchu, although it can be exhausting, it will be a rewarding and unforgettable experience the adventure lived in one of the seven wonders of the world. The “Ticket Machu Picchu Only – Afternoon Shift” is the most appropriate ticket to visit Machu Picchu on a one-day trip. You must book your entrance ticket to Machu Picchu in advance. 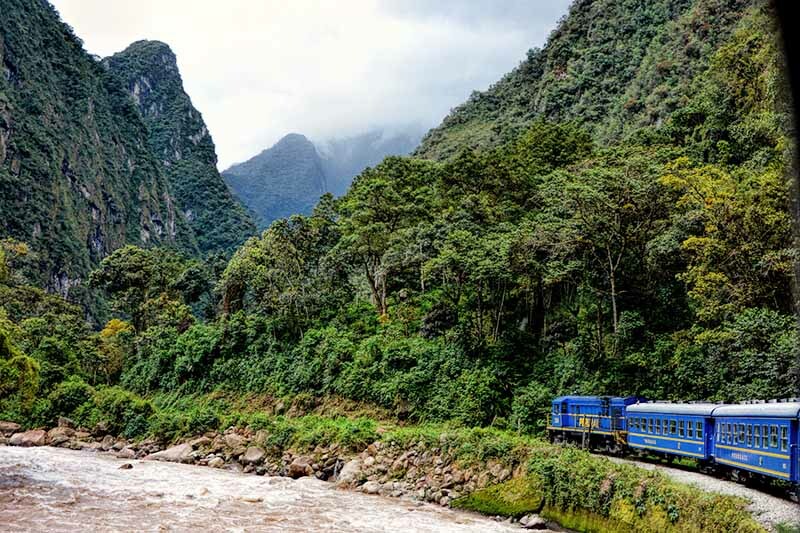 The train ticket must also be purchased in advance so that you can book the most appropriate times for the one-day trip itinerary to Machu Picchu. You must carry your personal identity documents to enter Machu Picchu. Carry only the necessary luggage for your journey. A change of clothes, sunscreen, insect repellent, sunglasses, hat or cap, protection for rain (if there is a forecast of rain) and camera are some of the essential things you should take with you.